Note: This article relates to the Affiliate Forms For Ninja Forms pro add-on. 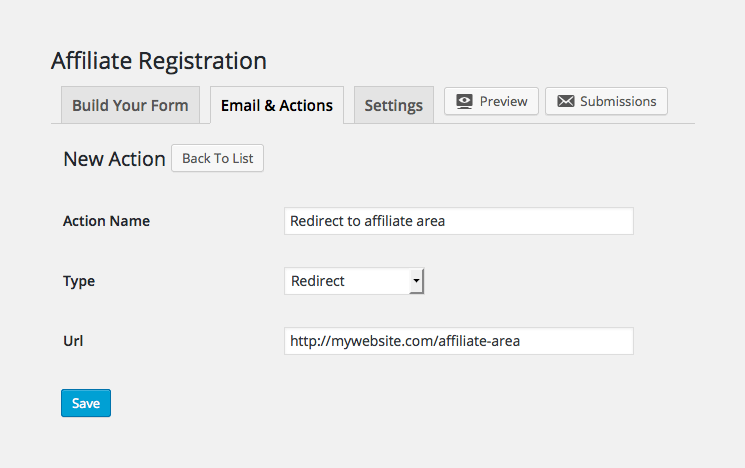 The Affiliate Forms for Ninja Forms pro add-on requires the free 3rd-party Ninja Forms plugin. The Affiliate Forms For Ninja Forms pro add-on provides compatibility with both the current version of Ninja Forms, Ninja Forms 3, as well as older Ninja Forms 2.9 versions. Make sure to confirm the version of Ninja Forms you're using, and refer to the section below for the Ninja Forms version you're using. 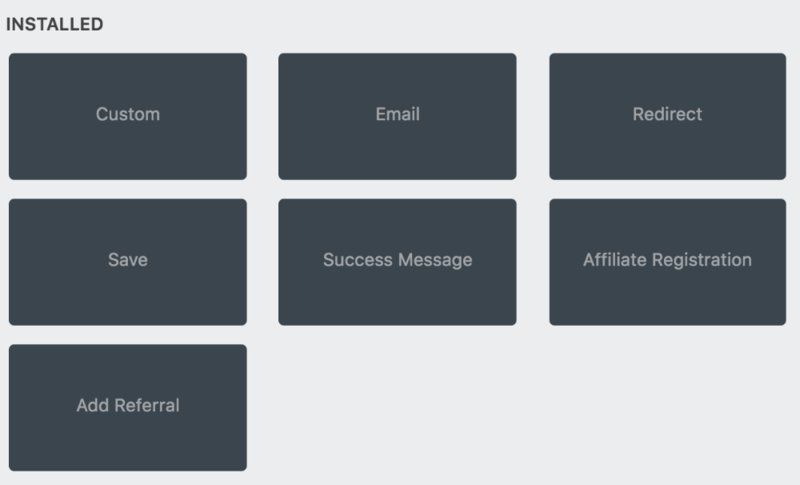 If you use either the [affiliate_registration] shortcode or the shortcode provided by Ninja Forms, you'll need to set up a redirect in Ninja Forms in order to redirect the affiliate to the affiliate area after they've submitted the form. Alternatively if you're using a custom configuration, you can of course manually enter the URL of your affiliate area page as well. Once finished, click save. That's it!